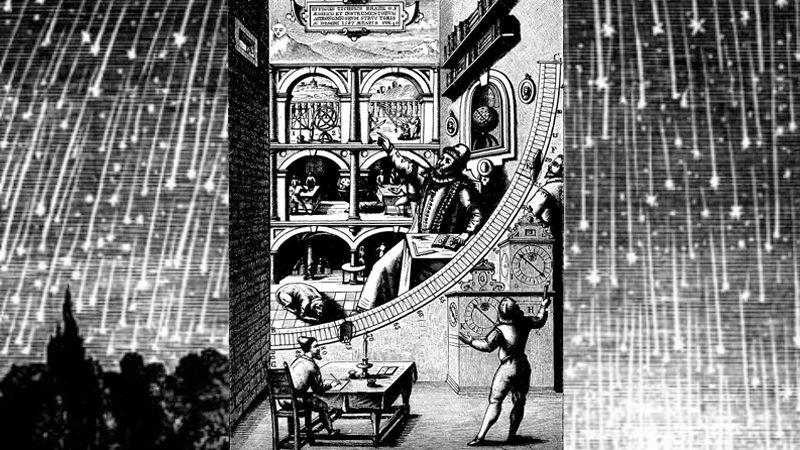 Depiction of astronomer Tycho Brahe's "Mural Quadrant," an astronomical instrument for measuring the position of celestial objects. Background is an 1833 depiction of the Leonid meteor "storm." The annual Quadrantid Meteor Shower is heading our way for a brief appearance in the early morning hours of Monday, January 4. But catching one of these fiery streaks requires a bit of late night fortitude, and not a small amount of luck in the case of this particular shower. If you want to see some of these meteors, here's what you need to do. First, find a good place to view the northern sky that is as dark as possible—as far from city lights as you can get. Now for the part that requires the fortitude: you need to go there between midnight and dawn (Monday morning, January 4)…. There are some added bonuses to observing Quadrantids this year. First, the Moon will be in a waning Crescent phase, and won't rise until after 2:00 AM. So for the first couple of hours after midnight no moonlight will contend with your enjoyment of the night sky—and even after the Moon rises, it won't be terribly bright. In fact, it'll look beautiful…. The other bonus for the very late night meteor watcher is a string of naked-eye planets. Mars is located near the Crescent Moon all evening, and farther to the west, high in the sky, is Jupiter. Closer to 6:00 AM, the planets Venus and Saturn will rise as a pair in the southeast, and for a brief spell before dawn you can see all four planets and the Moon strung up in a long line. Plus, hopefully, some meteors! Imagine this spectacle! Maybe you haven't heard of the Quadrantids? Unlike the more famous Perseids in August or the Leonids in November, the Quadrantids are lesser known, but still a highly productive show of shooting stars. Part of their obscurity may have to do with the typical weather conditions that prevail in January: each year this meteor shower is more prone to being preempted by an Earthly rain shower than its showy summer and autumn counterparts. Another reason for the Quadrantids' anonymity might be their relatively brief window of the appearance. Typically, shower activity takes place over a week or two, with the meteor rates (the activity in meteors per hour) spread out in something of a Bell curve. The peak in activity for most showers may even span a couple of days, so often you can experience similar meteor rates on two consecutive mornings. Not so with the Quadrantids, whose entire period of activity is mostly confined to less than a day. It's as if the operator in the big meteor shower control tower in the sky flips an "on" switch and then, shortly after, flips it off again. The operator of typical meteor showers is more laid back about the affair, smoothly amping up the dimmer switch over a number of days, and then fading it down again after that. 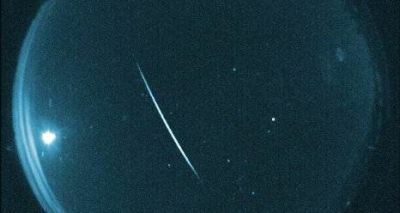 This means that you can spot a meteor days before and after the shower's peak in activity. With all that said, Quadrantid meteor shower activity can rival even the Perseid shower, with as many as 50 to 100 meteors per hour. Where Do Meteor Showers Come From? Meteor showers are caused when the Earth passes through a lane of dust left behind by a comet—and in at least a couple of cases, including the Quadrantids, an asteroid. The parent body of Quadrantid meteors is called 2003 EH1, a type of small solar system object that astronomers sometimes call a "rock comet"—basically an asteroid that periodically exudes gas and dust like a comet. 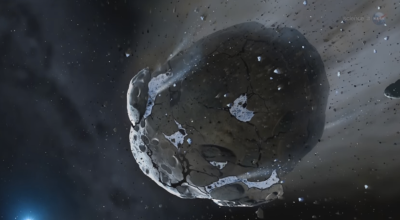 Keep in mind that every meteor you see is the fast and fiery end of a tiny piece of the solar system that has been flying around out there for billions of years! Meteor showers are named for the constellation they appear to radiate from—their "radiant point". Perseids appear to issue forth from the constellation Perseus, Leonids from Leo, Geminids from the twins of Gemini, and so on. The Quadrantids are named for a constellation that is no longer counted among the ranks of the 88 constellations officially recognized in 1922. Quadrans Muralis--the "mural quadrant," is an astronomical instrument used to measure the positions of objects in the sky. The radiant point for this shower is now located within the constellation Bootes, near the handle of the Big Dipper (or the tail of Ursa Major, the Big Bear). If you draw a line through the left-upper "cup" star of the Dipper and the two handle stars closest to it, these three point toward the Quadrantids radiant, about the length of the Dipper handle away. If the weather is good and you choose to brave the cold, dark, and very early morning hours on January 4th, may the "ids" be with you….